We've been aching for a splash of color, an eye-catching pattern, something to jazz up our living rooms, bedrooms, and bathrooms. Found it! 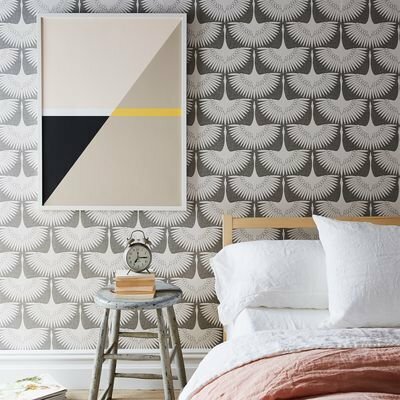 Tempaper's wallpaper is self-adhesive and removable—no expensive installations, no worrying about your landlord's approval, no painstaking cleaning of the wall when you've taken it down. The lead-free, VOC-free vinyl sticks right onto your cabinet shelves, dressers, headboards, and of course your walls—it's even steam and moisture resistant so it's great for bathrooms, too. And in 5 prints, you can change it up in a snap!